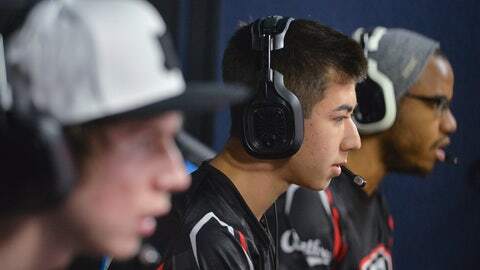 Dillon "Attach" Price joined Denial eSports as a free agent. The 17-year-old is a high school senior. Last week, we took you inside the Major League Gaming Call of Duty: Ghosts Season 3 Playoffs for a look at eSports in general. This week, we’re taking a look at one of the players that make up the professional COD ranks. Dillon Price isn’t your typical high school senior. Sure, he gets mostly A’s and B’s and makes time to hang out with friends. He also has an after-school job, working with three of his buddies. They mostly work online, but sometimes the job takes them on the road. It’s that job that sets him apart. 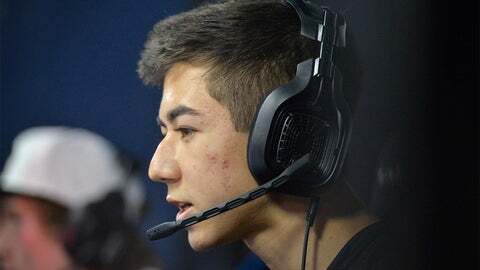 Dillon "Attach" Price is a professional Call of Duty player, has been for well over a year. He was playing competitively before that (he began playing Call of Duty 4 when he was 11), but he’s truly started to come into his own in the last year. Speaking on the phone Wednesday night from Los Angeles, Price was polite, open and engaging. He recalled picking up the competitive bug several years ago, when he was on a travel baseball team and a teammate told him about it. "My friend told me about all this, and I started playing with him and I just kept playing … and somehow this happened." "This" is his double life as a mercenary. After the recent finale of Major League Gaming’s Season 3 COD: Ghosts playoffs, he left his former team, Rise Nation, to become a free agent. 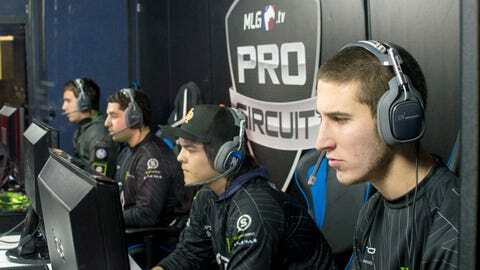 Chris Puckett, a fixture at MLG since the beginning, named Attach as one of the six names he’d build a team around for Advanced Warfare, the latest game in the COD franchise. "I told my team that if these select few teams were to offer me a spot, I would join them and one of them happened to be Denial and they did." It was an easy fit for Price, who joins his friends Tommy "ZooMaa" Paparratto, Renato "Saints" Forza and Chris "Replays" Crowder. He says ZooMaa is the captain of the team, but "Replays is like our in-game person who we listen to." So what’s life like for a high school kid/pro gamer? "It gets hard at times, I have to wake up really early, like 7 every morning. Go to school, then come home and practice with the team, play a lot. And I still have homework to do, and go hang out with friends. It can be pretty difficult at times." That doesn’t even factor in streaming — broadcasting his play on his MLG.tv channel or to YouTube. Streaming is the bread and butter income for the standard professional gamer. Dillon Price said he enjoyed Rise Nation, but told them he’d move on if a can’t-miss opportunity arose. And with the release of Advanced Warfare, he and other pros have been streaming a ton the last few days. That doesn’t leave much time for sleep. Price says he gets "maybe five or six hours." "The past three days I’ve streamed for 31 hours. … I’ve been playing tournaments with my team and then there’s these things called ‘8s’ — where a bunch of pros get together and just practice." Right now, he’s making his money through MLG.tv streaming, but is hoping to expand his reach with his new team. "I’m waiting to get partnered on YouTube, so I can make more money," says Price. So the life of high school gamer sounds fun and rewarding, but what would Price say to the next Attach? "It’s not going to come over a day or a week or a month, it’s going to be probably years before they get noticed. … You just have to keep playing hard and have a good attitude and eventually you might end up on a good team and be able to go pro. At the first dedicated eSports arena in the US, eight teams battled it out in the Season 3 playoffs for $75K in prizes. "And then on Twitter, I started to get a couple followers and they were like, ‘Oh this is pretty big, it’s not just go to a tournament and see a bunch of people doing nothing with their lives.’"
"Dillon has his sights set on being a success," his mother, Kim, told eSportsNation at the Season 3 Playoffs in Columbus. "He’s working very hard to polish up his skills and get better at streaming. He’s working very hard to be successful." And she makes sure he keeps up with his schoolwork. "As parents we have to draw the line to make sure he continues to do well in school … In order for him to come to these events, he needs to do well in school." Dillon says he’s got that covered and plans to take business classes at the local community college when he graduates in June. And while he’ll enjoy the professional gaming life while he can, he says he hopes to open his own non-gaming related business someday. For now, he’s focused on Advanced Warfare – which he gives a solid review to so far – and the upcoming season. As parents we have to draw the line to make sure he continues to do well in school … In order for him to come to these events, he needs to do well in school. "It’s really fun, it’s different. It’s something new that we needed. It’ll be a lot better than the last game, a lot more action-packed and intense." (Ghosts, the previous installment, was a source of frustration to many pro players). The new game — and Attach and the Denial team — will get their first big test at the end of November in the first major Call of Duty: Advanced Warfare Open in Columbus, with 140 teams battling it out for $25K in cash, 25,000 MLG Pro Points and the last four spots in the upcoming Season 1 of MLG’s COD league. After that it’s back to the online grind — streaming and the first MLG season for Advanced Warfare — and eventually, hopefully, a shot at the biggest prize of all: The $1 million Call of Duty Championship. That 32-team tournament features squads from around the world fighting for one of eight paying spots and a top prize of $400,000. One catch though; competitors must be 18 to play. Rise Nation took seventh in the event last season. Who knows? They might have done better if Attach had been there. But he wasn’t … Dillon Price was still 17. And there some things a kid in high school just isn’t allowed to do, even if he’s a professional. The #rostermania hashtag has been trending on twitter ever since the Season 3 COD: Ghosts playoffs ended. Players, fans and owners have been throwing around names, lineups, hints and teases right up to and after the launch of Advanced Warfare. Price was seemingly unaffected by this, having landed with his new team right away. Until Thursday, that is. On Thursday, Denial tweeted that it had released both Attach and Replays, stunning the competitve COD community. There were rumors that it was to sign two of the Evil Geniuses members — Aches and Teepee — but whatever the reason, the Twitter response was fast and furious. Both Attach and Replays put out feelers for a new team, with Attach lamenting that he’d be stuck going to a much inferior squad. Within a few hours, Denial had tweeted out a mea culpa for the moves and asked that both players come back. They agreed, according to Denial CEO Robby Ringnalda, who says contracts were delivered Thursday night. Still it made for a surreal scene and raises some real questions about the current team and player infrastructure within the business. According to @Denial_ZooMaa, Attach and Replays will remain on Denial after being released just hours ago. https://t.co/7q9AN36zwx. That said, maybe being a high school senior actually worked in Price’s favor this time around. Who is better prepared to deal with drama like this than a high school kid? Weird but good day Good night everyone will be streaming some more tomorrow! Where is the "delete today" option on twitter?